We are located on the Mile End Campus of Queen Mary, University of London. The campus is near Mile End tube station just a few minutes from the City and Olympic Park. Based in the state of the art Joseph Priestley Building, this modern purpose built chemistry laboratory has all of the facilities you would expect for conducting world class research at a Russell Group University. 7th July – The group welcomes Dr. Nicolas Cheval to the group as a new Postdoctoral Researcher. 17th June – Congratulations to Mommna Khan and Chris Arul on their excellent degree results. Thank you for your hard work and all the best for the future. 4th June – Siobhán Hackett and Chris Bray have their update on (Iodomethyl)trimethylsilane published in e-Eros. 4th June – Nicky Willis and Chris Bray have their collaborative work on bacterial respiratory complex imaging published in Biochimica et Biophysica Acta. 24th March – Nicky Willis successfully defends his thesis and takes up a position at GSK. Congratulations and all the best Nicky. 17th February – Geoffrey Smith and Harry Shirley give oral presentations at the school’s annual postgraduate symposium. 16th December – Fabrizio Minicone successfully defends his thesis and takes up a postdoctoral position at the University of Greenwich. Congratulations and all the best for the future. 10th November – Harry Shirley jets off to Campos do Jordão to present his work on marine natural products at the 15th BMOS in Brazil. 8th September – Geoffrey Smith presents his work on novel heterocycles at the 24th ISHC-Congress in Shanghai. 4th September – Geoffrey and Chris attend the Syngenta Chemisty Collaborative Research Conference, where Geoffrey presents a poster. 28th July – Siobhan Hackett presents her poster at OMCOS 17 in Colarado, USA. 1st July – Geoffrey Smith begins his CASE placement with Syngenta. We will miss you! 20th June – Wendy Rogers who spent her 4th year in the group wins the College prize for the best MSci project. 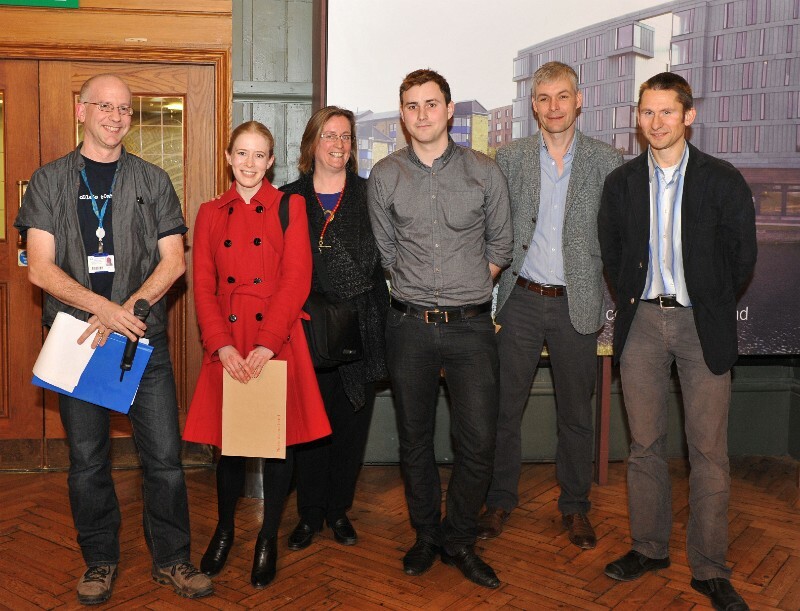 18th February – Siobhan Hackett won best ‘Chemical Sciences’ talk at the annual postgraduate symposium. Well done! 15th June – Our review ‘ortho-Quinone Methides in Natural Product Synthesis’ is now online. Well done Nicky. 21st February – Nicky Willis wins the prize for the best talk by a 3rd year PhD student at the Schools annual postgraduate symposium. Photo here. 14th February -Nicky Willis and Fabrizio Minicone attend the Zing Natural Products conference in Lanzarote. 5th October – Well done to Nicky Willis who is awarded an ImpactQM Scholarship to spend three months working in industry. 1st October -The group welcomes Harry Shirley and Geoffrey Smith as new PhD students. 10th June–PhD studentship available for Oct 2001 (joint with Syngenta), see the Positions Section for details. Position Filled. 13th April-Another poster prize win for Fabrizio Minicone this time at the RSC South-East Meeting. 3rd March– Fabrizio Minicone wins the prize for the best 2nd Year poster at the Schools Annual Postgraduate Meeting. 8th October- Congratulations to Fabrizio who is awarded an ImpactQM Scholarship. 1st October- The group welcomes Gajan Santhakumar as a visiting scientist. 1st September- The group welcomes Siobhan Hackett as a new PhD student. 22nd June – Congratulations to Fabrizio. Chem. Comm. publish our second paper on new aspects of the Wadsworth-Emmons cyclopropanation. 11th June – Our first paper on Wadsworth-Emmons cyclopropanation appears in the J. Org. Chem ASAPs. The place we like to call home. Geoffrey enjoys an afternoon off after presenting his research at the ISHC24 in Shanghai. The beautiful Regents Canal that runs next to campus.